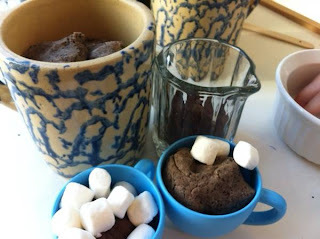 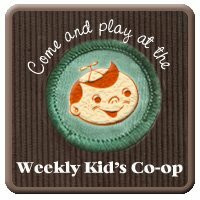 For this dramatic play activity we used chocolate and coffee play dough. 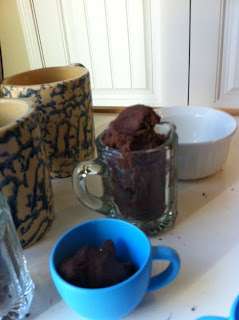 Just look on the right hand side bar under 'sensory play' for the chocolate play dough recipe. 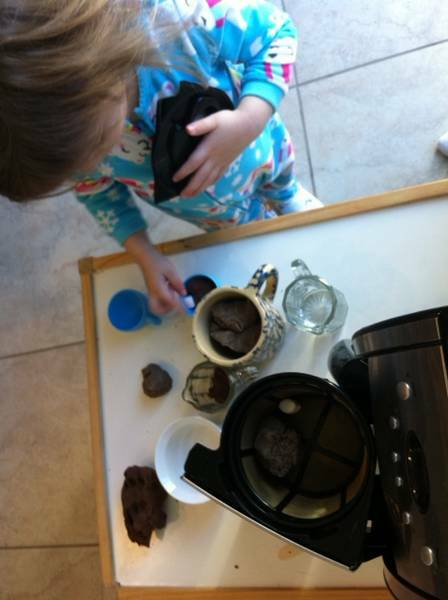 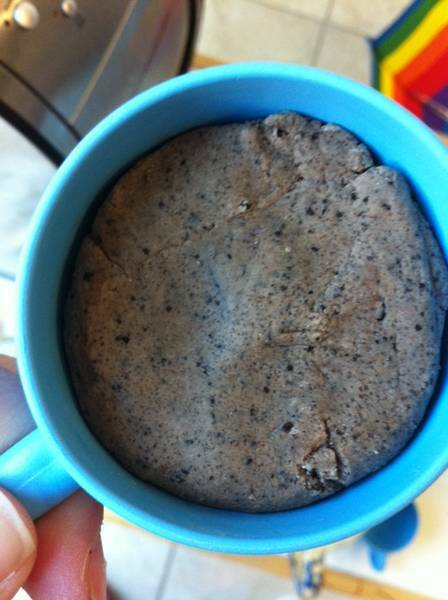 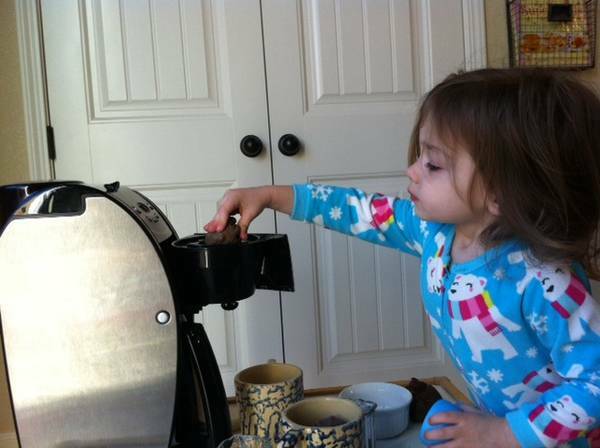 To make the coffee play dough all you need is 1 cup coffee grounds, 1 cup flour, 1 cup salt, 1/2 cup water added a little at a time. So simple! Coffee playdough was a big hit around here too - we also had a Barista sensory tub filled with coffee beans, cups, stirrers and empty sugar packets!